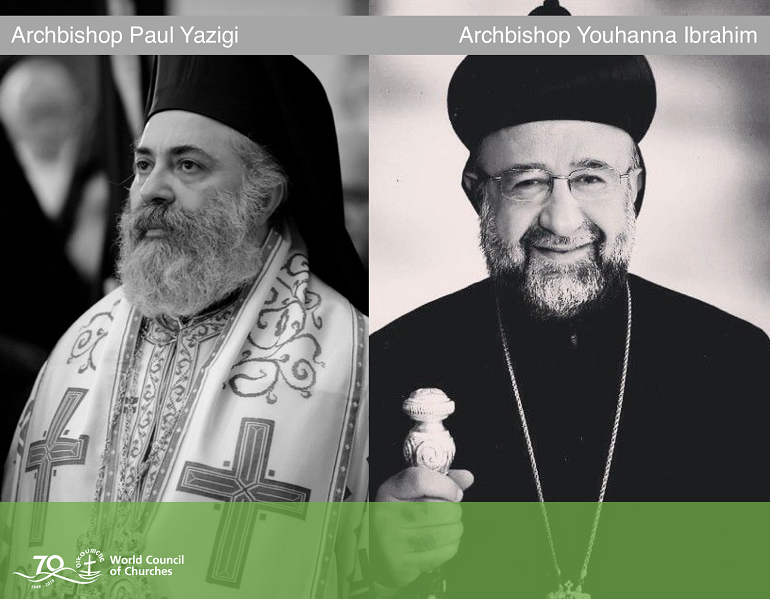 The World Council of Churches (WCC) has called for the release of two Syrian archbishops kidnapped five years ago. Yohanna Ibrahim and Paul, or “Boulos”, Yazigi, respective heads of the Syriac and Greek Orthodox Churches in Aleppo, were kidnapped near the Turkish border in April 2013. There has been no news about them ever since. In all, five Syrian church leaders abducted during the ongoing Syrian Civil War are still missing. A recent report about violence against Syrian church leaders during the war documented the cases of 19 clerics who had been either beaten, abducted or killed. Pope Francis visited the WCC on 21 June to commemorate its 70th anniversary.